Why Mixing Xanax and Alcohol or Other Drugs Is So Dangerous? On its own, Xanax (Alprazolam), the single most prescribed psychiatric medication in the US, is safe and effective. It belongs to the group of drugs called benzodiazepines, medications used to treat anxiety, panic attacks, and seizures. However, when taken in combination with other drugs (also called polydrug abuse), it can lead to severe health complications and even death. Unfortunately, a significant amount of patients abuse the drug, mixing Xanax and alcohol, Xanax and weed, and Xanax and Adderall, thus putting their safety at risk. The consequences of these combinations can be life-threatening, and this article will discuss their effects in more detail. Mixing the drug with alcohol is extremely dangerous. Both substances are broken down in the liver by the same compounds and slow down the body’s natural detox process. This means that one’s body needs more time to get rid of both alcohol and Xanax. Drinking while on this medication, therefore, is highly unsafe and can lead to severe health conditions, and in worst cases, even death. These depressants mixed will augment each other’s effects in the body and lead to potent properties. As a result, a plethora of risks arise. Mixing drugs is never a good idea. Unless prescribed by a doctor, the different medication should not be taken together, especially if the substances have a similar effect. For example, substances that act as central nervous system depressants should never be taken together as they have similar pathways of action. Equally, stimulants and depressants like Adderall and Xanax shouldn’t be taken together as they have counter effective properties. This means the effects of these substances will be canceled out and the consumer may then increase the dose which puts substantial pressure on the heart and can lead to a range of associated problems. The road to recovery from polydrug abuse, especially when it comes to highly addictive substances, can be a tough one. However, that is not to say it is impossible. There is a wide range of rehab centers specializing in polydrug abuse that provide appropriate help to those who are affected. If you or your loved one suffers from polydrug abuse, the future may seem overwhelming. If you would like to receive more information on the best treatment options, call our professional team with confidence on (888)-459-5511. More than 900 drugs are known to interact with Xanax. The lists below are ranked by the severity of the side effects produced by the synergy of the drugs most commonly abused with this medication. Mixing other drugs and alcohol and Xanax can lead to fatal consequences. On its own, the drug has a relatively high-efficiency rate and produces little to no side effects, making it safe. It belongs to the group of benzodiazepines, drugs mostly used to treat anxiety and panic attacks. 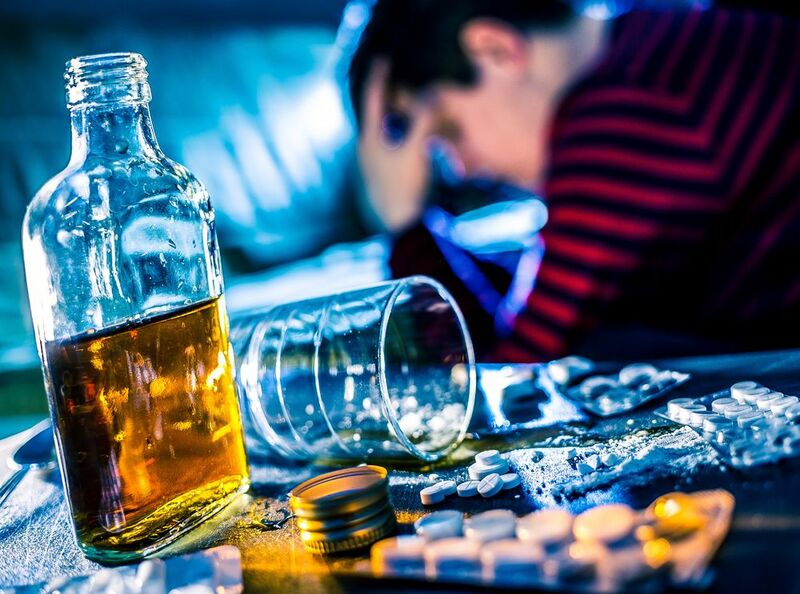 Because it affects the central nervous system and calms down the body functions, special care should be taken not to mix the substance with other depressants, such as alcohol or Valium. Yet, even with all warnings in place, people abuse high-risk substances at the same time and put themselves in enormous danger. Steering clear from substance abuse may seem like a daunting or even impossible task, but with the appropriate support and guidance, sustained sobriety is achievable.